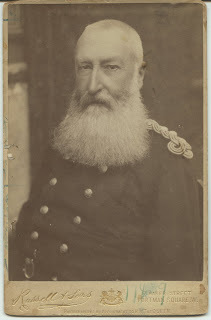 It was the 17th day of December 1865 when Leopold II became king of a small Northwestern European country called Belgium; a fierce king he remained for forty-four years, until the last day of his life which by a strange quirk of fate came to be the 17th day of December 1909. They were prosperous years. For the king was mighty and so would his kingdom become – a modern industry, an economic power, an Empire. The turn of the century would find Belgium a flourishing country that ”must be strong, prosperous, therefore have colonies of her own, beautiful and calm”, his majesty once wrote to his brother, Prince Philippe. He knew it well, like all rulers that came before and those who followed after him, that only coffers full of gold can bring the strength and prosperity the king desired; and to keep the gold flowing there was but one and only way: acquire for himself a Colony. The mighty king then turned and looked south, saw the vast, uncharted lands of Africa and opportunity beckoned; it beckoned so strongly that in a few swift and expert moves he put a claim on a great, mostly unexplored piece of land all across Central Africa, declared it his and made it official by order of the colonial nations of Europe. 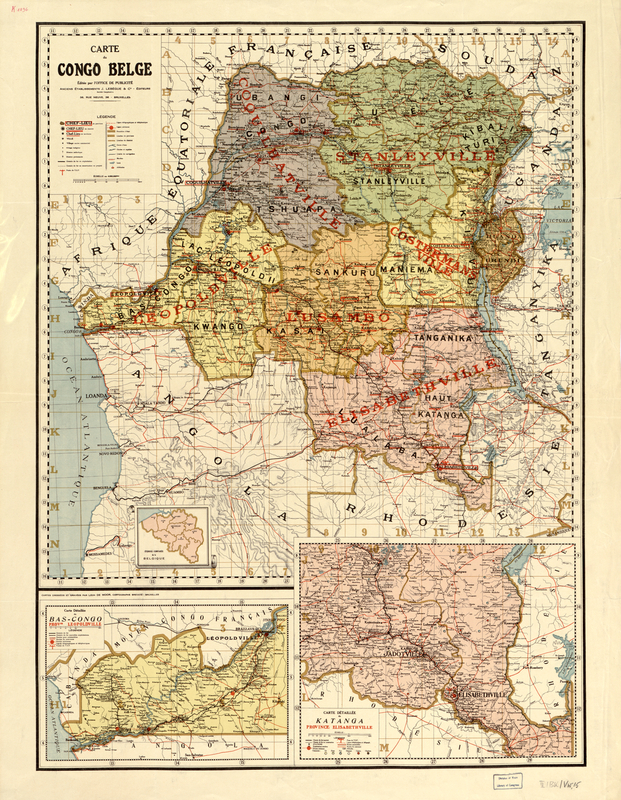 He baptized his colony ”Congo Free State” and proceeded to ”unburden” it of its immense riches in natural resources, mainly ivory and rubber. The more he sucked the colony dry the bigger the ruler’s coffers became until they were bursting with wealth. And thus the small European country called Belgium flourished. Swelling with pride, the king then ordered buildings of grand splendour to be built and opened wide avenues and parks with magnificent gardens which he adorned with majestic works of art for his subjects’ pleasure. 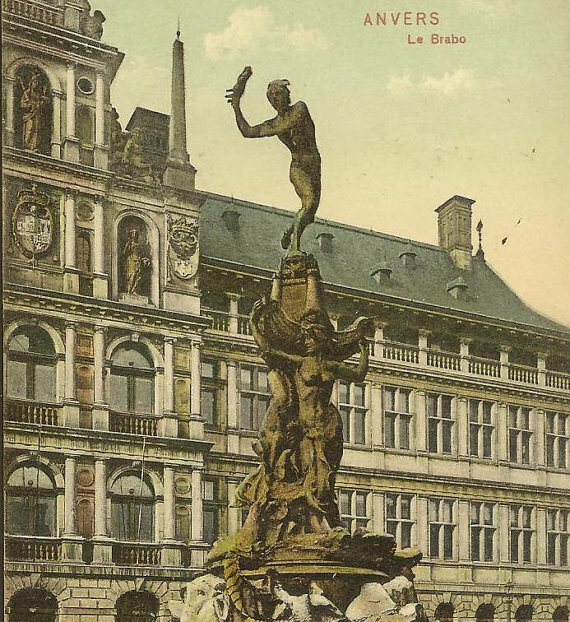 Jef Lamb eaux was an esteemed sculptor from Antwerp; his is the statue of Brabo, the daring hero who cut the hand of the evil giant and freed Antwerp from his tyranny, today’s sleepless guardian of the city’s Main Square. “a pile of naked and contorted bodies, muscled wrestlers in delirium, an absolute and incomparable childish concept. It is at once chaotic and vague, bloated and pretentious, pompous and empty. (…) And what if, instead of paying for 300,000 francs of “passions”, the government simply bought works of art?“. But the government being headed by none other than our mighty king who was probably impressed by its monumental size, ignored the controversy and commissioned the work. 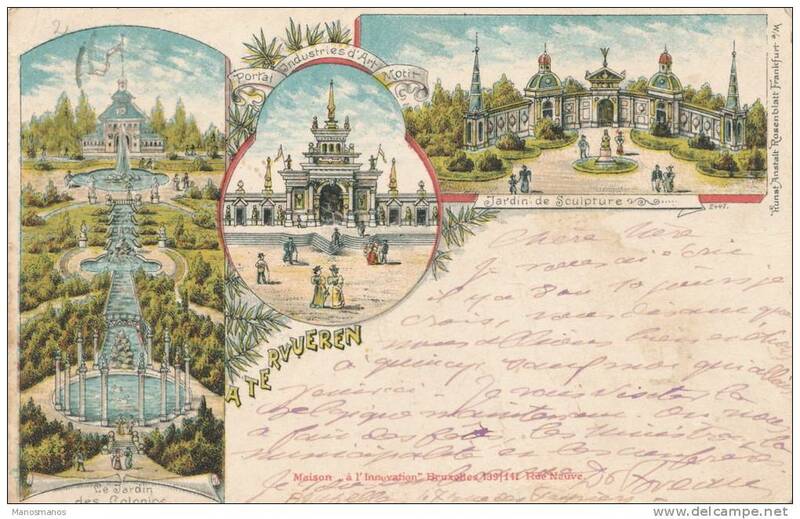 And once finished, there could be no more suitable showcase than the great Brussels International Fair of 1897, expected to attract millions of visitors. The king’s new trophy would bedazzle the world. The prestigious event would take place in two main sites: in the west, the Cinquantenaire Park; already home to some massive iron, glass and stone structures raised by order of the king, symbols of his economic and industrial power. And, in the east, Tervuren, a small Flemish village which would be the showcase of the King’s most precious trophy, the Congo Free State. Thus Tervuren became the host of a brand new Palace of the Colonies (there was only one colony but the king was thinking far ahead) surrounded by gardens and lakes in a beautiful big park, bigger than the eye could reach. The king then had the two sites connected with a wide avenue and a tram line passing through the outskirts of the old Sonian forest. The ”Human Passions” would be shown in the Cinquantenaire Park. While Lambeaux was chipping away the sins of mankind on 17 blocks of pure white Carrara marble, the king commanded a pavillion that would protect and showcase his creation. And Alphonse Balat, principal architect to the throne, knew precisely who should design it: his bright young pupil Victor Horta was about to be granted his first public commission. Horta imagined a pavillion with an open facade where the relief would be visible to passers-by behind the columns. Lambeaux, weary perhaps of peoples’ reactions, wanted it concealed between four walls. The two men disagreed. They argued and argued until they spoke to each other no longer. There was no inauguration that year at the Brussels Fair of 1897. It took place two years later, on 1 October 1899. At first it seemed, the architect had prevailed – the relief was visible to people walking past. But on the third day, Lambeaux had it covered behind wooden panels and so it remained until, eventually, Horta succumbed and built a proper wall in 1909. 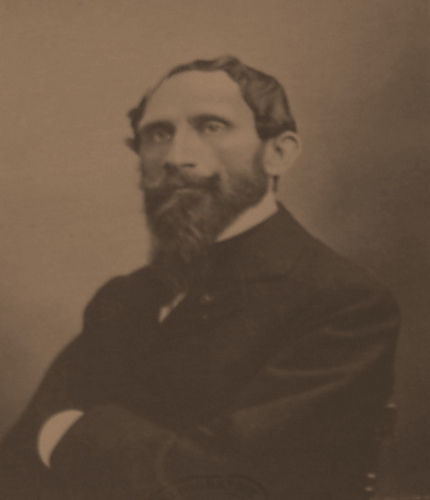 Lambeaux did not live to see it – he had died one year earlier. Many years went by and many lives were shuttered through hardship and war; the generation of lost innocence would no longer be shocked by the ”scandalous Human Passions” and the Temple was all but forgotten. Until one fine day in 1979, king Baudouin I of Belgium, in a generous gesture of friendship, offered the Temple as a gift to King Khaled of Saudi Arabia. 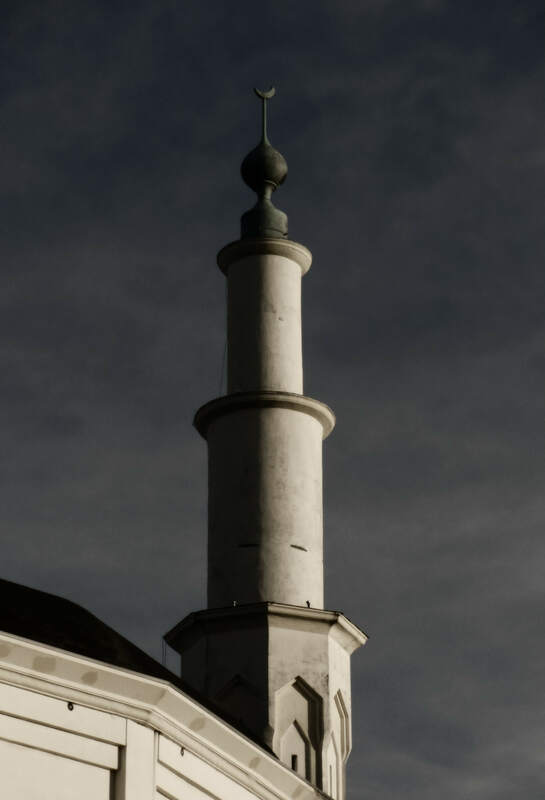 It was only a complement to an earlier gift, a neighbouring larger pavillion that the Arab king transformed to what we know today as the Great Mosque of Brussels. King Khaled was planning to transform his latest asset into a museum of islamic art and a marble relief of human passions could not – and would not – remain in such a museum. But through years of osmosis and history (and a listing decree a prudent mind with foresight had passed in 1976), pavillion and relief had become inseparable. King Khaled quickly lost interest and the Temple remained closed most of the time, until it began to fall dangerously apart and was shut down completely. It would be many months before the long overdue restoration works began and many more to finish. 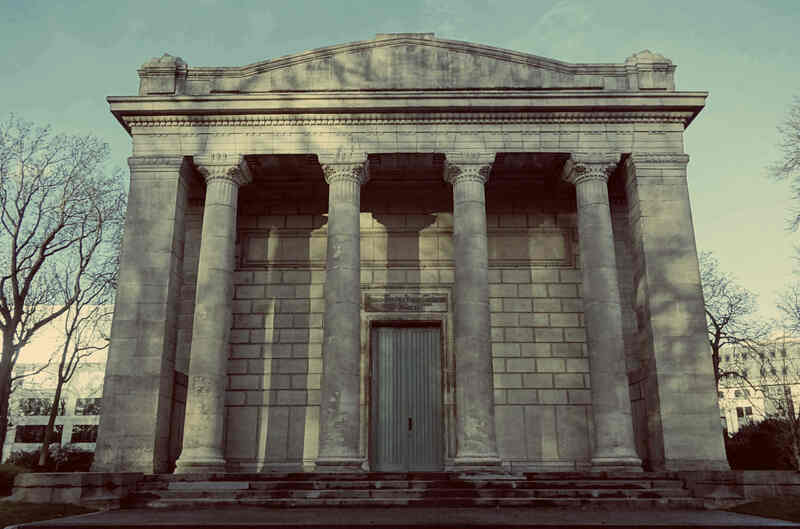 The Temple of Human Passions is today sitting peacefully next to the Great Mosque of Brussels, an testament to all who care to see that art, spiritualism, faith – are passions too. And all very human.